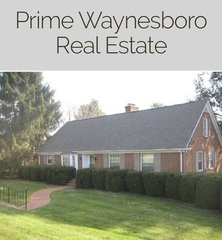 A one-of-a-kind opportunity to own a custom made, one owner home in a wonderful Waynesboro neighborhood. A one-of-a-kind opportunity to own a custom made, one owner home in a wonderful Waynesboro neighborhood. This home boasts five bedrooms, three full baths, kitchen, den, dining area, and magnificent view of the Blue Ridge Mountains. Plenty of room for the entire family with 3,400 square feet of living space in this rare gem. Looking for that special legacy family home? You have found it here. We look forward to congratulating a new owner this summer.